October is, without a doubt, one of – if not my favorite – months. I love the changing colors of the leaves and the cool briskness to the air after the stifling, humid summer months. I love the sound and smell of crunching leaves underneath my feet. I love the woolen socks and sweaters that are released from their cedar chests, ready to warm cold little toes. I love the browns and golds and orange and reds that sparkle across the landscape. I love warm apple cider and pumpkin spice lattes. I love the harvest time – the amazing array of colors that corn and winter squashes come in at the roadside stand. I love the brilliant array of colors on the trees, and the decorations of husks and hay baskets, topped with pumpkins that line the front porches of the streets. I love the excitement and anticipation on my children’s faces as we plan out their Halloween costumes and take the first steps in making it. Yes, I do so love October. And of course, as soon as there’s a nip in the air, I’m inspired to pull out my cozy yarns and get crocheting. 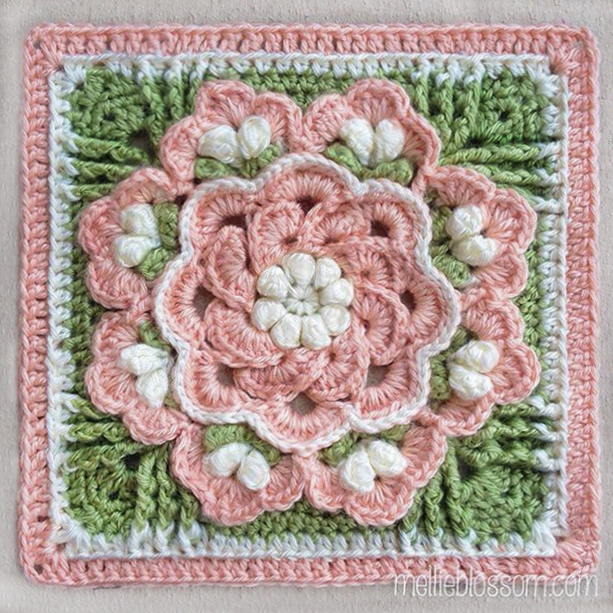 For October’s Block-a-Month Crochet-Along, a square was selected that has been in my “to crochet” bookmarks since before I was even on Ravelry – this Pumpkin Patch square. I’ve had grand plans to (eventually) make an October afghan with this pattern using fall colors, and decided that instead of using my BAMCAL colors, that I’d go ahead and make up a sample of what’s to come… including these cute little jack o’lantern faces made of black felt. 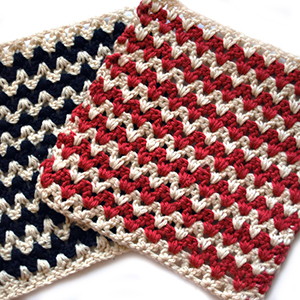 The free pattern can be found here, and my Ravelry page for this project is here. All this and more, for love of October!